Do Bilingual Kids Have an Advantage Over Monolingual Kids? 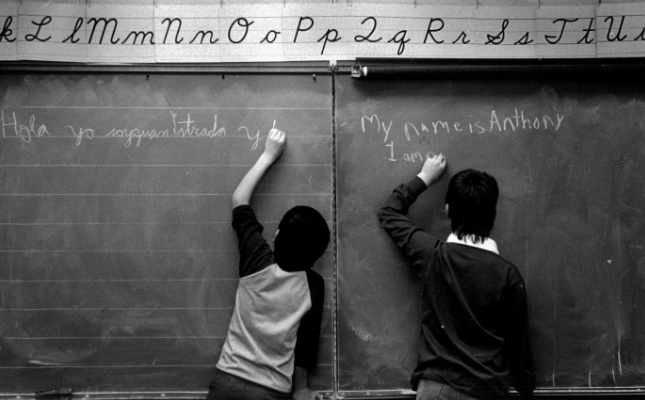 Recently I’ve heard that bilingual children have a learning advantage over monolingual kids. Also I’ve read in one article that many parents used to be afraid to speak to their infants in two languages because they thought it would be too confusing and harmful to their child’s development so I wanted to look into this hypothesis more. Many studies were conducted in Singapore, since the country has a high number of bilingual families. The first study was done by Leher Singh (indep), who works in the Department of Psychology at the National University of Singapore. She used a method of testing called “visual habituation” on 114 six month olds. The infants were shown a picture of either a cuddly bear or wolf. Once the infant lost interest in one image they were shown the other image. The results showed that the bilingual children became bored faster than the monolingual kids. This suggests that they already developed their cognitive abilities in ways that the monolingual infants didn’t. The article did not explain how many trials were conducted or go into depth about why becoming bored faster correlates to increased cognitive ability, therefore the findings aren’t very reliable. Another study in Singapore (news), also performed by Singh and her team, show an advantage for English-Mandarin bilingual infants to learn new words and develop their language skills. The studies were performed on 72 infants ranging from 12-13 months old. The first experiment showed that the bilingual babies responded to tonal changes when learning new Mandarin words, however, the monolingual infants didn’t show this ability until they were approximately 18 months old. Singh explained that the study shows that the bilinguals had an advantage because they were exposed to two languages, however, she acknowledges that the results don’t prove that being exposed to two languages is better for babies. I read an article in the New Yorker that claims the advantages of bilingualism may be overstated. The article describes the results of studies that Angela de Bruin, a psychology graduate who is bilingual, conducted. Her first study used the Simon task (a computerized test where participants are shown arrows either pointing right or left on the screen). The participants were told to press the right key when they see a right pointing arrow, regardless of what side of the screen the arrow is on. She hypothesized that the bilinguals would show higher scores in processing the non-symmetrical arrows (when the right pointing arrow was on the left side of the screen). However, in three of the four trials the advantage was not present, therefore, the null hypothesis could be accepted because the experiment showed that nothing was going on. On the other hand, in order to be sure other studies would have to reveal the same results. Bruin continued her research by reading through conference abstracts (conferences are where in-progress studies are reported on). She found something that could have resulted from the file drawer problem. If researchers found no effects of bilingualism then they would be less likely to publish their work. In the studies that were published, 68% showed a bilingual advantage and 29% found no advantage or an advantage for monolingual people. Therefore, Burin concluded that society perceives a positive outcome of bilingualism that may not be true. She doesn’t completely dismiss the hypothesis that bilinguals have an advantage as she proposes an idea that being bilingual can help decrease the chances of developing dementia later in life. This idea really interested me because I would never have thought that being bilingualism could provide a shield against dementia. I decided to look into it further and found a study that was conducted in November 2013. The study was done by researchers in the Nitzam Institute of Medical Studies in India. It included 648 participants with an average age of 66 years old. The researchers included participants that were illiterate, who spoke two or more languages, and those diagnosed with Alzheimer’s disease, frontotemporal dementia, and mixed dementia. The results showed that the bilinguals delayed dementia by an average of 4.5 years. The confounding variables (participants who spoke more than two languages, different genders, or different education levels) did not show any effect. Therefore, this study can reject the null hypothesis. Moreover, the study can be considered pretty strong since confounding variables were evaluated in their research. However, the reason this correlation occurred is still unknown and the researchers describe the need to perform more studies that include other cultures. The takeaway is that bilingual children have not shown a large enough advantage over monolingual children in order to provide a clear conclusion. Studies have been performed but many of them show differences that are only slightly greater than what could be due to chance, which shows that if there is a difference it is not a big one. However, the hypothesis that bilingualism can lead to a decrease in chance of developing dementia shows that learning two languages can be beneficial for your future. This entry was posted in Uncategorized on October 21, 2016 by Katherine Guerney. As someone who is fluent in English, Russian, Ukrainian, and Polish, I’d say that knowing more than one language has given me a major advantage over people who are monolingual, but not in the way that Bruin is trying to disprove. The advantages that she says don’t exist are psychological ones, but what about the social advantages that knowing multiple languages bring? When I was on a five country trip with my high school, I was able to hold a conversation with someone in Prague because of the similarities between Czech and Ukrainian. I was also able to ask for directions and get restaurant recommendations, and I was the person my classmates and teachers went to when a tour guide wasn’t around and they needed me to read/translate something. Another social advantage is the fact that bilingual people get paid more, on average $10,000 more a year than someone who is monolingual, and will be more likely to be hired over someone who speaks one language, according to Forbes ( http://www.forbes.com/sites/moneybuilder/2012/04/13/do-multilingual-individuals-earn-more-money/#5625fb7c1464 ). So I have a great love for languages and accents. I’m absolutely fascinated by them. My mother actually majored in linguistics when she was in college. She speaks a bunch of languages (French, Arabic, Spanish, Italian) and yet she never taught me any of them. Over the years I’ve picked up a multitude of phrases and words, but I can’t speak any of the languages fluently. This is a really interesting post, but I wouldn’t think anything different than the headline itself. The advantage that bilingual kids have over monolingual kids is simply the fact that they are bilingual. I’ve often heard that learning another language is easier at a younger age. 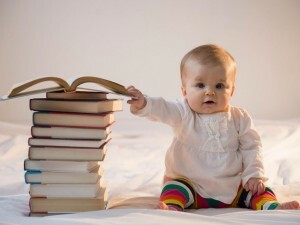 Learning in general is easy for small children who take in everything as a new sight. The studies you found are interesting because I had never considered there were more advantages to being bilingual at a young age than knowing two languages and perhaps having an easier time learning a third. I was at first, convinced by your research that being bilingual offered children many benefits, but your assertion that the file drawer problem may be the cause of this belief is a good point. It makes me wonder what other things we think are beneficial actually aren’t. Besides all that it does make sense that someone who knows a second language would have certain advantages over someone who doesn’t. Learning one language is difficult, let alone a second. The amount of time and effort needed is enormous. I sorted rambled her but interesting studies. I have always wanted to become bilingual but more recently my interest in learning languages has grown tremendously. I would set out to speak every language if I didn’t have some sense. I think being bilingual is efficient in the world place as well. It makes it much easier for employers to see you as a valuable asset with that kind of skill. What’s very interesting is the similarities between languages. Learning an additional language can open the door to so many other similar languages as well! I think this is a really interesting topic, especially with how diverse our world is. I had no idea that being bilingual could have potential health benefits like resisting dementia – I thought that it was just a handy trait to know. i do know, however, that being bilingual helps in the long run occupation wise. For example, my mother is bilingual and she was able to move up the ladder pretty quickly in her job because they needed people that could speak more than one language. Another example, my friend’s dad is bilingual and he actually makes more than the usual salary because it is such an important asset. In the long run, it’s definitely beneficial to learn more than one language.